Due to the success of our recent Gold Krugerrand special offer, and by popular request we are pleased to be able to extend our bulk buy promotions to our silver coins. We currently have a number of Austrian Philharmonic 1oz Silver Coins which we have allocated to our Silver coins promotion, which we are able to bring to you at a price once again unrivalled in the UK. At the time of writing Hatton Garden Metals have a limited amount of stock of the beautiful Austrian Philharmonic 1oz silver coins. These silver coins are available in packs of 10 or 50 at prices that represent a great discount on our already low prices for silver coins. 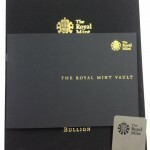 Details of this offer or any current offers and current stock prices can be found at our Gold & Silver Bullion store. Any future special offers for silver coins or gold bullion at discount prices will always be announced on our email mailing list, our Facebook page, our Twitter feeds and through our RSS channels. 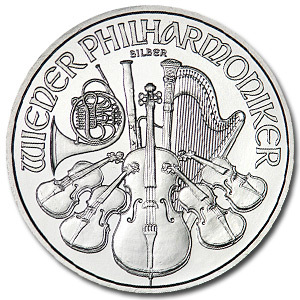 Austrian Silver Philharmonic Silver Coins Special Offer was posted on September 20, 2012 at 9:19 pm in Investment Gold Service, Investment Silver Service, Offers, Freebies, Promotions & Competitions and tagged as investment silver, silver, Silver coins, Silver Philharmonic. It was last modified on April 4, 2014 at 9:48 am. You can follow any responses to this entry through the RSS 2.0 feed. You can leave a response or trackback from your site.